The U.S. Department of Agriculture’s (USDA) National Agricultural Statistics Service (NASS) is reminding farmers and ranchers that the window is closing on the opportunity to participate in the 2017 Census of Agriculture. To date, NASS has received more than 1.5 million completed questionnaires. But the national return rate is currently lower than at this point in the 2012 Census. NASS is encouraging U.S. producers who have not returned their completed Census questionnaires to do so as soon as possible to avoid phone and in-person follow-up. Hamer noted that NASS has already begun to follow up with producers who have not yet completed the questionnaire. The Census of Agriculture is the only comprehensive source of agriculture data for every state and county in the nation. Census data are used by policymakers, trade associations, researchers, agribusinesses, educators, and many others. The information helps inform decisions on farm policy, rural development, and new farm technologies. 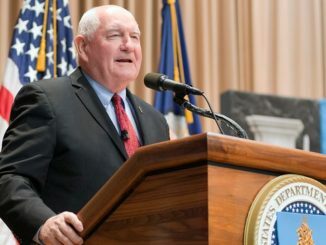 It also aids in the creation and funding of loans and insurance programs and other forms of assistance, as well as in the cultivation of the next generation of farmers and ranchers. The Census differs from other NASS surveys. It provides important demographic information and data on certain commodities, such as horses, bison, and Christmas trees, that would not otherwise be available. Revisions to the questionnaire in 2017 include new queries about military veteran status, decision-making on the farm, and food marketing practices. 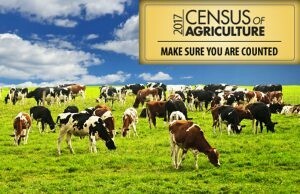 Producers can respond to the 2017 Census of Agriculture online at www.agcounts.usda.gov or by mail. The same law, Title 7 USC 2204(g) Public Law 105-113, that requires response also requires NASS to keep all information confidential, to use the data only for statistical purposes, and to only publish in aggregate form to prevent disclosing the identity of any individual producer or farm operation. NASS will release Census results in February 2019. For more information about the 2017 Census of Agriculture or for assistance with the questionnaire, visit www.agcensus.usda.gov or call toll-free (888) 424-7828.